Making A Mark gives an insanely talented artist some IADW brag-space. 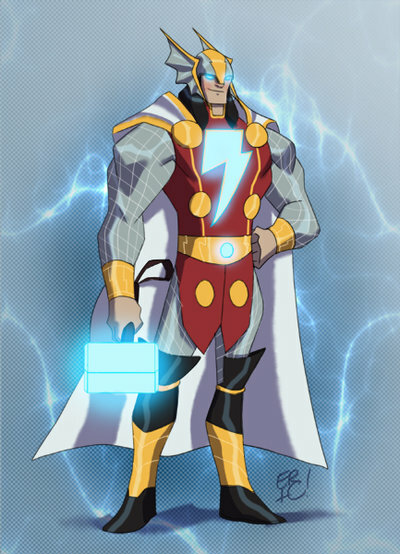 Today goes to Eric Guzman and his gallery that continues to explore what kind of possibilities could be offered by combining DC with Marvel characters, like Amalgam Comics once did - SHAZAM! The whole Marvel vs DC event that surrounded Amalgam Comics gets a pretty bad wrap, but as an event that didn't feel like it was aiming for any Oscars, I really liked it for its fun spirit. Eric, recaptures that in his art and even pairs up those unmatched in the original adventure! Is it me or does Brainiac's brightly coloured dome look perfect in the body of Arnim Zola? 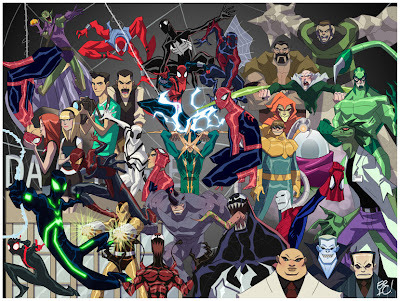 Easily ready for the animated treatment, Eric's work also prompts the idea of what an animated film would look like should Marvel and DC ever shake hands on the idea. 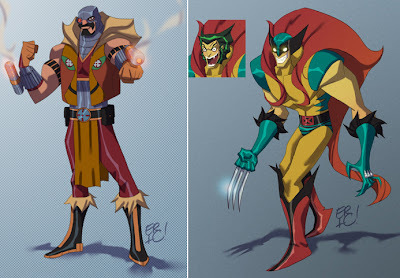 The Creeping Wolverine shows Logan is oddly at home mixed with DC's raging Steve Ditko creation. 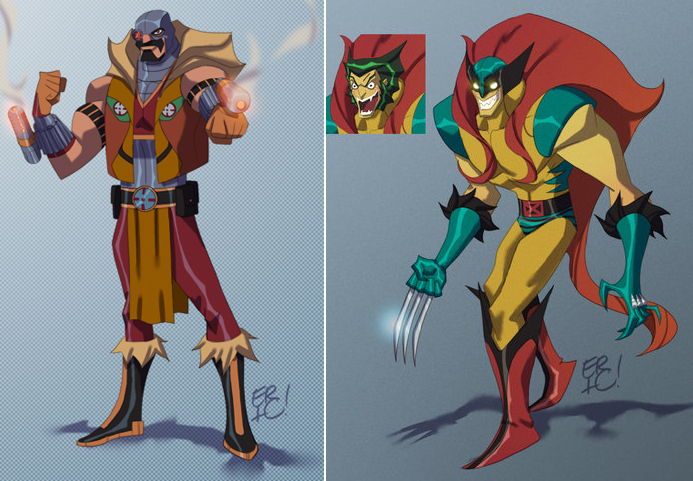 Meanwhile Deadshot the Hunter on the left, makes Kraven even more deadlier than he's ever looked before. 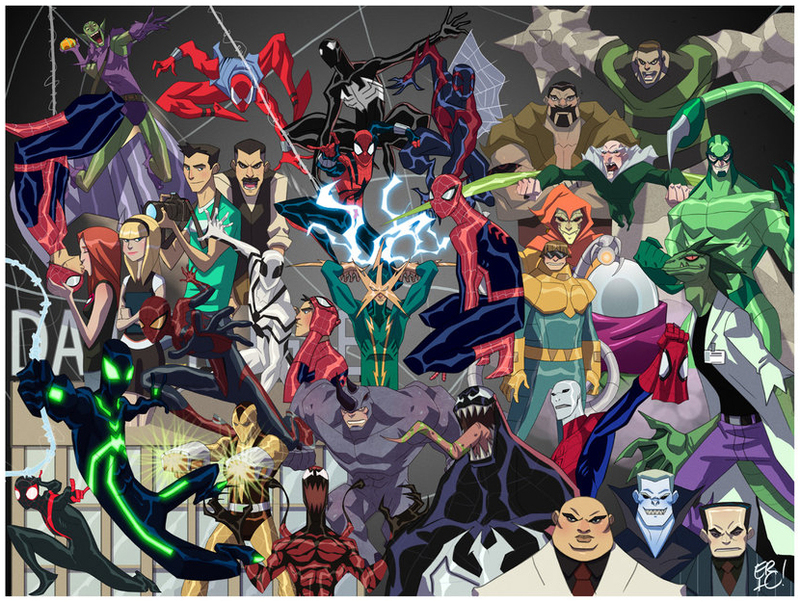 Okay so the above isn't an Amalgam combination, rather just a shot of the Spider-Man universe of characters, but when it looks as sweet as this one does how could I possibly leave it out? What do you think? To see Eric's full gallery including more Amalgams such as Ms. Wonder, Darkskull, Devilwing and more click the jump! 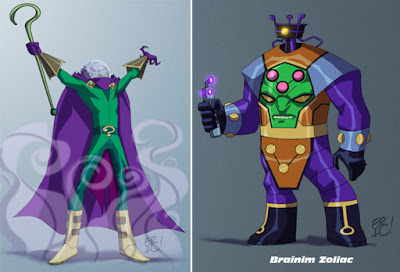 Oh I love these, as I'm a sucked for Amalgam stuff. I actually re-read my Amalgam books after this. Damn Speed Demon was a cool idea. Meant to type out sucker. Stupid fingers. Most of the Amalgam stuff is pretty solid, especially the Spider-Boy, Speed Demon(Hal almost killed by a rogue watcher/guardian? where have we seen this before;) and really all of them. Well the Gen X/Desperadoes one wasn't that good, and I didn't care the Lobo the duck one either, but after that, all gravy. I also liked Super Soldier too. Plus Howard Porters first take on a JLA of sorts... sigh like you say Dale all good stuff.